The first deal of the 2016 NBA Trade Deadline was made, as the Philadelphia 76ers traded one of their young bigs in Nerlens Noel to the Dallas Mavericks for Kyle Anderson, Andrew Bogut (who is expected to be bought out), and a 1-18 protected 1st round pick in Junes draft, this coming from a tweet by Yahoo reporter Adrian Wojnarowski. Dallas finds a nice, young and talented big man who can defend really well around the rim. The Mavs are struggling to find young bigs that have promising futures, seeing as Dirk is finding retirement soon, and them trading a dwindling Andrew Bogut means Noel is the best bet for starting center for the years to come. For the Sixers it appears they have moved on from Jahill Okafor trade talks. He was subject to being moved around possibly to the Bulls, but with Noel being traded away it seems they are keen to make Okafor the main bench big men alongside newly acquired Tiago Splitter. They may lose some defense inside but the Sixers pick up a solid wing defender and a decent shooter in Justin Anderson. Both teams benefit from this trade, as Dallas gets a good center to kind of kick-start their rebuild without having to give anything major, and the Sixers pick up a 1st round pick in a deep draft, even if it is protected. 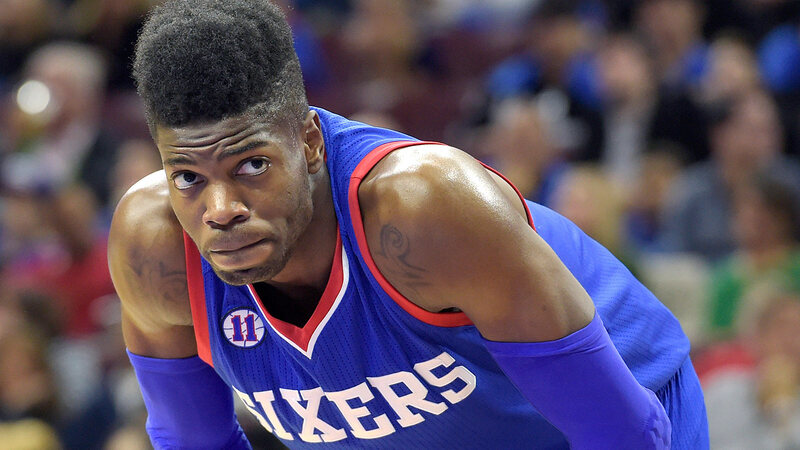 The Sixers also ad to their deep and talented wing depth with the addition of Anderson. Next Could Vegas look to the Toronto Maple Leafs for their first head coach?